The future is the hardest thing to predict, and the coming year is looking particularly unpredictable. But people are resilient, and we'll learn something about the resilience of democratic institutions: I'm cautiously optimistic. In the past year, I noted the passing of game theorists Tom Schelling, Reinhard Selten, Howard Raiffa, Jim Friedman, and Lloyd Shapley (here, and here, and here, and here), as well as my good friend the eminent scholar of organizations Keith Murnighan who helped set me on the path of experimental economics, and transplant immunology pioneer Paul Terasaki. For some reason, the final report is missing many of the publications reported in the annual progress reports...but it gives an idea of what we were thinking when we began this leg of the work, and some of the different directions in which we were led. A more comprehensive list of publications from this work in the period 2011-16 is below, I may have more to say about them in the future. 6. Ashlagi, Itai and Alvin E. Roth, “New challenges in multi-hospital kidney exchange,” American Economic Review Papers and Proceedings, 102,3, May 2012, 354-59. 7. Rees, Michael A., Mark A. Schnitzler, Edward Zavala, James A. Cutler, Alvin E. Roth, F. Dennis Irwin, Stephen W. Crawford,and Alan B. Leichtman, “Call to Develop a Standard Acquisition Charge Model for Kidney Paired Donation,” American Journal of Transplantation, 2012, 12, 6 (June), 1392-1397. (published online 9 April 2012 http://onlinelibrary.wiley.com/doi/10.1111/j.1600-6143.2012.04034.x/abstract ). 8. Kessler, Judd B. and Alvin E. Roth, “Organ Allocation Policy and the Decision to Donate,” American Economic Review, Vol. 102 No. 5 (August 2012), 2018-47. 14. Kessler, Judd B. and Alvin E. Roth, “Getting More Organs for Transplantation,” American Economic Review, Papers and Proceedings, May 2014,104 (5): 425-30. 15. Kessler, Judd B. and Alvin E. Roth, “Loopholes Undermine Donation: An Experiment Motivated by an Organ Donation Priority Loophole in Israel, “Journal of Public Economics, 114, June 2014, 19-28. 26. Ambuehl, Sandro, Muriel Niederle, and Alvin E. Roth, “More Money, More Problems? Can High Pay be Coercive and Repugnant?,” American Economic Review Papers and Proceedings, May 2015, 105(5): 357-60. .
29. Melcher, Marc L., John P. Roberts, Alan B. Leichtman, Alvin E. Roth, and Michael A. Rees, “Utilization of Deceased Donor Kidneys to Initiate Living Donor Chains,” American Journal of Transplantation, 16, 5, May 2016, 1367–1370. 30. Stoler, Avraham, Judd B. Kessler, Tamar Ashkenazi, Alvin E. Roth, Jacob Lavee, “Incentivizing Authorization for Deceased Organ Donation with Organ Allocation Priority: the First Five Years,” American Journal of Transplantation, Volume 16, Issue 9, September 2016, 2639–2645. 31. Stoler, Avraham, Judd B. Kessler, Tamar Ashkenazi, Alvin E. Roth, Jacob Lavee, “Incentivizing Organ Donor Registrations with Organ Allocation Priority,”, Health Economics, April 2016 online http://onlinelibrary.wiley.com/doi/10.1002/hec.3328/full ; doi: 10.1002/hec.3328. "China announced on Friday that it was banning all commerce in ivory by the end of 2017, a move that would shut down the world’s largest ivory market and could deal a critical blow to the practice of elephant poaching in Africa. According to some estimates, more than 100,000 elephants have been wiped out in Africa over the past 10 years in a ruthless scramble for ivory driven by Chinese demand. The advocates have promoted long-running public campaigns to shame China and raise questions about its global responsibilities, at a time when China has been assuming a higher profile on the world stage. But the success of the new policy depends on how strictly it is enforced." In a nuanced back and forth, the NY Times has suggested that the American Kidney Fund is abusing its status as a charity for patients who can't otherwise afford dialysis by only encouraging applications from patients at clinics which contribute to the AKF. They reply that this isn't the case. "The American Kidney Fund is one of the largest charities in the country, with an annual budget of over $250 million. Its marquee program helps pay insurance premiums for thousands of people who need dialysis, a lifesaving and expensive treatment for kidney failure. "The organization has earned accolades for its efficient use of the money. "Under an agreement with the federal government, the Kidney Fund must distribute the aid based on a patient’s financial need. But the charity has resisted giving aid to patients at clinics that do not donate money to the fund, an investigation by The New York Times has found. The actions have limited crucial help for needy patients at these clinics. The agreement governing the relationship between the group and the companies forbids choosing patients based on their clinic." HIPP has firewalls in place to protect the integrity of the program." The agreement linked to in the NY Times article (to put it in context) is Advisory Opinion No. 97-1 of the Office of Inspector General of the U.S. Department of Health & Human Services. "The big advantage of this proposal are as follows: 1) It helps those in need of organs who need help most — those at the front of the waiting list. These people, if they had a way of finding a living organ donor on their own, would have done so before they made it to the front of the waiting list 2) It follows the distributive justice model of the original NOTA and UNOS design (same as for deceased donation — help those in most need first). 3) Because it doesn’t help everyone, it is much more affordable (possibly even saves money within the first year instead of just 5 or 10 years down the line). 4) It can be phased in without creating a whole new bureaucracy because it includes incentives for OPOs to do the work. And, 5) perhaps most importantly, this proposal could be implemented under the current law through regulation. It could be done by Congress, but does not require an act of Congress." • Create living donor registry that allows donors at any time after their donation to put themselves AND / OR one relative to the front of the list in the region where the recipient lives (e.g. voucher system, but national. Waiting list points to be determined by UNOS)." 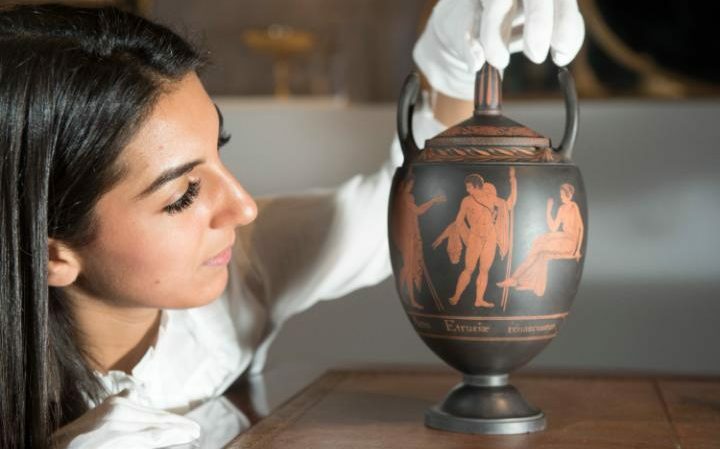 "The black “Basaltes” vase was put on sale at Christie’s in July by Anne Makeig-Jones, a descendant of Wedgwood. "The decision to defer the export licence follows a recommendation by the Reviewing Committee on the Export of Works of Art and Objects of Cultural Interest, administered by the Arts Council." There were 120,688 newly reported cases of end-stage kidney disease, representing a slight increase of 1.1 percent compared to 2013. At the end of 2014, there were 678,383 dialysis and transplant patients receiving treatment for end-stage kidney disease, up 3.5 percent from 2013. Among all patients who currently receive hemodialysis, use of an arteriovenous fistula, a surgically created vein used to remove and return blood during dialysis, since 2003, has increased from 32 percent to 63 percent. Arteriovenous catheter use has also declined from 27 percent to 18 percent during this period. Medicare spending for beneficiaries ages 65 and older who have chronic kidney disease exceeded $50 billion, representing 20 percent of all Medicare spending in this age group. Total Medicare fee-for-service spending in the general Medicare population increased by 3.8 percent in 2014 to $435.6 billion, with $32.8 billion, or 7.2 percent, of that overall spending accounting for end-stage kidney disease patients. Compared to 2013, the costs of Part D claims and skilled nursing facility care in 2014 grew at the fastest rates of 21 percent and 5.5. percent, respectively. Prior to 2013, Medicare spending on hospice care in end-stage kidney disease patients had been experiencing one of the highest rates of growth of any category of Medicare spending, but this spending declined by 6.3 percent in 2014. As of December 31, 2014, the kidney transplant waiting list increased by 3 percent over the previous year to 88,231 candidates, of which 83 percent were awaiting their first kidney transplant. With less than 18,000 kidney transplants performed in 2014, the active waiting list was 2.8 times larger than the supply of donor kidneys. The internet dating site JSwipe has a program called ParentPay. The website has a banner reading (subtly) "We want grandchildren." Hanukkah is here! We have the perfect gift. We both know your kid is a catch and anyone would be lucky to date them. It's time to give your son or daughter (friend, cousin, or grandkids) the right tools for finding *Jewish* love in the digital age --- and fast track your way to grandkids. JSwipe is the #1 Jewish dating app with nearly one million users across the world. We're responsible for hundreds of marriages and want your kids to be next! Really. That's our job. JSwipe offers a First Class membership that provides premium features to maximize the impact of their dating experience. Better matches = better dates. While their unpaid internship is great for their career, it's not so great for helping them afford a First Class membership. Because you're such incredible parents, we're offering you the opportunity to gift your child one-year of JSwipe First Class for $99, less than half of what it usually costs! Consider it their "love allowance." The perfect Hanukkah gift! The gift of love that keeps on giving. Would you be happy to have a new guest at your next family holiday? We know Bubbe would. Don't Passover this opportunity! " 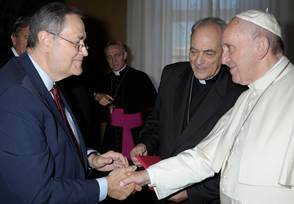 We are very proud to announce that New England Organ Bank's Chief Medical Officer, Dr. Francis Delmonico, was inducted into the Pontifical Academy of Sciences this week. "With this lifetime appointment, he becomes one of just 70 leaders in the field of science today to have this honor. Among other members are theoretical physicist Stephen Hawking and Human Genome Project founder Francis Collins. In addition to his long career as a kidney transplant surgeon, Dr. Delmonico leads the World Health Organization's efforts to prevent transplant tourism and organ trafficking." In the emerging ecology of kidney exchange in the U.S., there are more and more exchange transplants that are "internal" exchanges among the patient-donor pairs of a single transplant center.. The first internal paired kidney exchange completed at LLUMC, chain started by altruistic donor-- Two adults now have a longer, healthier life ahead of them thanks to two complete strangers. "The first internal paired kidney exchange was successfully completed at Loma Linda University Medical Center (LLUMC) late last month. "The chain began with an altruistic donor from Orange County who gave a kidney to an individual from the Inland Empire. That recipient had a donor that was not a compatible match and was able to give to another individual in need of a kidney. The four surgeries took place Monday, Nov. 28. "Living-donor chains have the potential to dramatically reduce transplant waiting times for thousands of patients,” said Rafael Villicana, MD, a transplant nephrologist and the medical director of the kidney transplant program at Loma Linda University (LLU) Transplantation Institute. "This is the best way for patients with incompatible donors to be transplanted quickly and achieve the best results. "Having a living donor can eliminate the wait. But in one-third of such cases, a transplant can't be done because the immune systems of the patient and a willing donor don't match. "Each chain begins when an altruistic person steps forward to donate a kidney, expecting nothing in return. "While Loma Linda has been involved in other kidney exchanges, this is the first that was all done in house. "Approximately 130 kidney transplants are performed at LLUMC annually." "Applications for early action at Harvard College rose 5 percent this year to 6,473, and 14.5 percent, or 938 students, were admitted to the Class of 2021. Last year, 6,167 applied early, and 14.8 percent, or 914 students, were admitted. The admissions committee is careful to ensure that only those students who are, in Fitzsimmons’ words, “100 percent certain” to be admitted in regular action are admitted early. “This is particularly important because in recent years we have received record numbers of applications,” said Fitzsimmons. Last year, 39,041 students applied for admission to the Class of 2020. Ten years ago, 22,754 students applied for admission to the Class of 2010." Here's some good news in an email that arrived yesterday from NLDAC, the National Living Donor Assistance Center (about which I have had several recent and not so recent posts). Up until now, NLDAC has only been able to provide travel assistance to some means-tested kidney donors. The new trial will allow the effect on donation of also reimbursing lost wages. 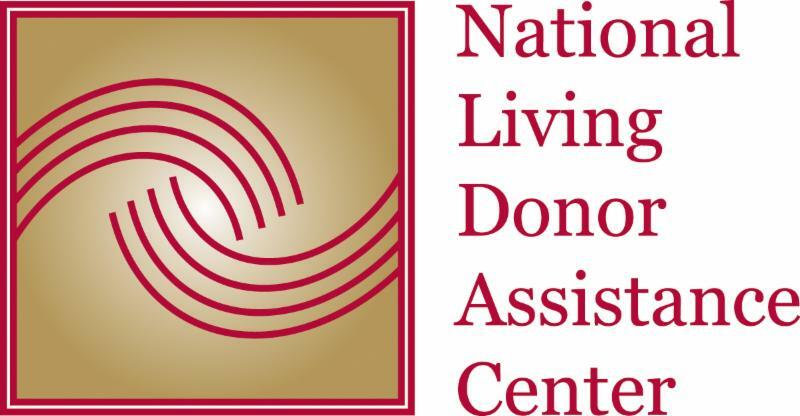 Arlington, VA – December 21, 2016: The National Living Donor Assistance Center (NLDAC) announces that it will conduct a randomized controlled trial that will assess the impact of interventions intended to remove financial barriers to living organ donation through wage reimbursement. NLDAC was established in 2007 to administer a grant funded by the U.S. Health Resources and Services Administration to provide greater access to transplantation for persons who want to donate, but cannot afford the travel and subsistence expenses associated with donation. It currently provides travel and subsistence funds for nearly 1000 people per year who wish to become living organ donors to offset their expenses related to donation. Living donors usually travel at least three times to the transplant center and are required to stay near the hospital for up to two weeks after the transplant surgery for monitoring. They are unable to work during their donation and recovery time, and the loss of wages can be a significant financial barrier. This study will provide data to help answer the question of whether removing that barrier increases living donation in the United States. The Laura and John Arnold Foundation provided funding for the trial, which will be administered by the American Society of Transplant Surgeons in partnership with the Arbor Research Collaborative for Health, with additional researchers from University of Arizona, the Wharton School of the University of Pennsylvania, and Mayo Clinic Arizona. Five transplant centers with active living donor transplant programs will participate in the trial. The trial will begin in 2017 and is projected to run through 2018. The National Living Donor Assistance Center (NLDAC) was established in 2007 to provide greater access to transplantation for persons who want to donate, but cannot otherwise afford the travel and subsistence expenses associated with donation. The program is funded by grant number U13HS07689 from the Healthcare System Bureau, Health Resources and Services Administration, U.S. Department of Health and Human Services. It is administered by the American Society of Transplant Surgeons, University of Arizona Health Sciences, Arbor Research Collaborative for Health, Washington University – Missouri, and Mayo Clinic – Arizona. For more information, visit LivingDonorAssistance.org. Established in 1974, the American Society of Transplant Surgeons (ASTS) is the oldest abdominal organ transplant society, serving approximately 1,800 surgeons, physicians, scientists, pharmacists, coordinators, and advanced transplant providers. ASTS is committed to fostering the practice and science of transplantation and guiding those who make policy decisions by advocating for comprehensive and innovative solutions to the needs of our members and their patients. ASTS is a nonprofit organization in Arlington, Virginia. For more information, visit ASTS.org. Arbor Research Collaborative for Health is committed to improving patient care through research that shapes medical policies and practice. In particular, Arbor Research conducts health outcomes research on chronic disease and end-stage organ failure, with expertise in biostatistical analysis, clinical practice, health economics, public policy, database management and integration, and project coordination. Through research projects that are national and global in scope, Arbor Research’s scientific collaborations provide valuable and timely information to the worldwide health care community. A full description of the project portfolio is available at ArborResearch.org. LJAF is a private foundation that is working to improve the lives of individuals by strengthening our social, governmental, and economic systems. It has offices in Houston, New York City, and Washington, D.C. www.arnoldfoundation.org. "In July 2010, the revised Organ Transplant Law came into effect, enabling organ donations after the brain death of children younger than 15. However, there have been only 12 cases of organ donation by children under 15 since then. According to the Japanese Society for Heart Transplantation, 29 Japanese children under 18 traveled abroad for a transplant between 2010 and June 2016. That is more than twice the number that received a donor organ in Japan. "In 2015, the organ donation rate in Japan stood at 0.7 people per million people. Spain had the highest rate at 39.7 people per million. The gap between Japan and other major countries remains wide. The rate stood at 28.5 people per million people in the United States, 27.5 in France, and 20.2 in Britain. "The so-called Wada transplant, said to be Japan's first transplant from a brain-dead donor, was conducted in 1968 by Juro Wada at Sapporo Medical University. The boy who received the donor's heart died, and Wada was charged with murder. Questions were raised as to whether the organ donor had really been brain dead, and the case stirred a major controversy over the definition of death. For more than 30 years after that, no transplants from brain-dead donors were performed in Japan." Restrictive laws, religious concerns and a lack of knowledge about donating organs mean that medically-sophisticated Japan lags well behind other nations in life-saving operations. Julian Ryall reports from Tokyo. In Canada, Ontario has just (last month) amended some of its laws regarding the definitions of who are the parents of a child, with implications for surrogacy, among other things. Here's the part on surrogacy, which seems to imply that surrogacy in Canada will be subject to legal risk about who the parents are until the child is seven days old. parent of the child if specified conditions are met. child, unless the surrogacy agreement provides otherwise. intent, it is unenforceable in law. (Section 10)"
"They began with a less costly and less invasive option: IUI or intrauterine insemination. That's where sperm is inserted with a catheter directly into the woman's uterus at the time of ovulation. The procedure costs, on average, just under $1,000 a try. "The next step they took was to try in vitro fertilization, or IVF. This involves fertilizing eggs with sperm in a laboratory dish, then transferring the embryo into the woman's uterus. It can cost $15,000 to $20,000 each try. "At first, Greg says, they thought about traveling overseas for more affordable treatments, but travel costs would have gobbled up any savings. So, they went online instead, to the crowdfunding site GiveForward. " Removing financial disincentives to kidney donation in the U.S.
A forthcoming article in the American Journal of Transplantation, by authors who are firmly opposed to creating incentives for donation, show increasing acceptance of reimbursing donor expenses...but there is as yet too little action towards making that happen. It is now widely accepted that to remove economic barriers to donation and achieve a fair and successful program of living organ donation, the gift of an organ must be “financially neutral” for the donor. Financial neutrality requires that donors be protected against health care costs arising from post-surgical events, and medical complications that manifest in the weeks or months after the donation, as well as the long-term care of conditions that may compromise residual kidney function. Strategies to provide for the particular lifelong health care needs of living donors will vary among countries. Limiting coverage to the costs arising from the donation and its potential sequelae including loss of post donation kidney function will avoid creating an inducement to donate—and the consequent violation of financial neutrality—that would arise were countries to offer living donors comprehensive medical insurance as a means of covering donors’ future health-care costs. Am J Transplant. 2015 May;15(5):1187-91. doi: 10.1111/ajt.13232. Epub 2015 Mar 31. Living and deceased organ donation should be financially neutral acts. "About 7,000 people get a liver transplant each year in the United States, while 17,000 remain on waiting lists at transplant centers. Who should get a lifesaving transplant has always been a complex calculation. But it has blown up into a vicious political struggle that played out most recently at a meeting of the organization governing the nation’s transplant network. "The benefits of liver transplants are astounding. Patients just weeks from death can have their lives extended significantly, even indefinitely. Given the limited number of donor livers, in 2000 Congress established what’s called “the Final Rule” to guide the medical community in how to allocate them fairly. The Final Rule compels the transplant community to allocate donor organs based on best medical judgment, best use of the organs and avoidance of futile transplants. It also notes that a patient’s chance of getting a transplant should not be affected by where he or she lives. "Balancing these various guidelines has always been tricky. But what has emerged — and is now the point of contention — is a marked geographic disparity in how sick a patient must be before rising to the top of a transplant list. For example, waiting lists at California transplant centers are significantly longer (and therefore patients in California get a lot sicker before possibly receiving transplants) compared with waiting lists in Oregon. That’s unfair to the Californians who need liver transplants, right? "Acting on this assumption, the national board of the Organ Procurement and Transplantation Network / United Network for Organ Sharing, or OPTN/UNOS, proposed new boundaries for the nation’s transplant regions. The aim was to have regions with shorter, less-sick waiting lists share the limited supply of donor livers with regions that have longer, more-sick waiting lists. The new map was recently offered for public comment and a regional advisory vote. "Eight of the 11 regions came out against it — because longer waitlists aren’t necessarily a sign of greater need. The divide is deep. Antagonists have split into camps (“Liver Alliance” versus “Coalition for Organ Distribution Equity”), hired lobbyists and collected their congressional representatives. Given the uproar, it was not surprising that the OPTN/UNOS board of directors declined to vote on the controversial proposal at its national meeting in St. Louis last week. Nevertheleess, there’s a feeling of urgency that something must be done, so it’s entirely possible the board will soon enact the redistribution proposal — perhaps with minor modifications — despite present objections. "Transplant waiting lists also get distorted by intense competition in populous regions where there are more liver transplant centers — a largely ignored issue. With money and prestige at stake, centers are motivated to perform more liver transplants. The simplest way to accomplish that is to put very ill patients on the transplant list, because when a donor organ becomes available, the center with the sickest listed patient in that region gets the organ. "Rates of organ donation, by the way, do not explain the wait-list problem: California has some of the highest donation rates in the country, while New York persistently ranks at the bottom. Everyone agrees on the need to increase donations — but just redistributing livers will not significantly change the number of transplants or lives saved. "Still, the disparity between the wait lists causes endless teeth-grinding in the transplant community. "There is no question that wait lists are abhorrently long in some places, but OPTN/UNOS’ redistribution proposal misses the larger point: What is it about our transplant system that has created this situation? How can we make changes to keep the wait lists at more reasonable levels? "Matters of healthcare access, while important, are beyond the control of OPTN/UNOS and the transplant community. Within grasp, however, is a simple solution: Lower the number of patients on transplant lists. Such a move would not affect the number of transplants (every available liver would still be transplanted), but it would reduce the delay and degree of illness for those on the wait lists. This is, of course, simple to say, but difficult to implement given how our current system incentivizes transplant centers to get as many patients on their lists as possible. "To create a fairer balance between the haves and have-nots, though, both factions in the liver debate need to understand (and agree on) who the haves and have-nots actually are. Without consensus on that, we risk missing the big picture: increasing the health, happiness and well-being of more people with liver disease." Dr. Willscott E. Naugler is an associate professor and medical director of liver transplantation at Oregon Health & Science University in Portland. He also serves as the Region 6 (Pacific Northwest) regional representative to the UNOS Liver and Intestine Committee." Genos is a new company that seeks to make a market for personal genetic information--it wants to both sell sequencing services to individuals, and then serve as a broker between the individuals who will still own their own data, and research projects that wish to use those data. "The latest contender is Genos, a genetic sequencing startup that is unveiling its whole exome-sequencing service today. The hot, shiny object of the industry, this type of next-generation sequencing offers a complete profile of all the expressed genes (the ones that code for proteins) in your genome. While a growing number of targeted genetic testing kits are currently on the market (Color, Myriad, and 23andMe, to name a few), whole exome sequencing produces 50 to 100 times more data. "In a first for the personal genomics movement, the company is creating a research pipeline with academic and commercial partners, and paying customers to donate their data. The incentives range between $50 and $200 per project; the first four include a vaccine for breast cancer, a clinical trial for treating lymphoma, and research into prion diseases and common neurological disorders." A market for information will have some interesting design issues, and a market for genetic information will have to navigate issues of repugnance as well. I'm on their advisory board. "Marijuana will be legal for possession, use, and home-growing Thursday for adults 21 and over. "The initiative passed last month with 1.8 million people voting for the measure, despite the opposition of top politicians, the Catholic Church, doctors and business groups, and an array of other civic leaders. About 1.5 million people voted against it. "For legalization advocates, the strike of midnight Thursday will represent the culmination of a long twilight struggle that was met with dismissal for decades, but increasing acceptance in recent years. Massachusetts voters decriminalized the drug in 2008, replacing the criminal penalties for possession of one ounce or less with a new system of civil penalties. And, in 2012, voters approved a ballot question legalizing marijuana for medical use. "The law allows adults to grow up to six plants per person, with a maximum of 12 per household. It mandates the state treasurer appoint a three-person Cannabis Control Commission to regulate the new industry. And it sets a January 2018 timeframe for when retail pot shops can open. "But the framework is likely to be tinkered with by politicians who believe it does not sufficiently protect public health and safety. Top leaders have discussed the prospect of delaying the opening of stores to give policymakers more time. "For law enforcement the journey ahead may be the most rocky, especially in the next year. "They will be forced to navigate a legal gray zone in which marijuana is legal for purchase, possession, and use, but the drug remains illegal to sell. (Sales are legal only through the regulated market, which won’t start until 2018.)" "Ms Jenkins said: "They managed to take 21 eggs before I started chemo but only 10 survived. They were made into embryos and grown for two weeks, then frozen. "Then in May this year we had an embryo defrosted and implanted into my mother's womb..."
His 1960 book The Strategy of Conflict is one of the first books I read about game theory. It was both an introduction to game theory, and a critique of some of its conventional formulations. I still sometimes teach some of the experiments he wrote about there. For our last Data Science DC Meetup of 2016, we are excited to have John Dickerson join us to talk about Matching Market Design -- where techniques from computer science and operations research are combined with massive data to optimize kidney exchange between donors and patients. John is an Assistant Professor in the Department of Computer Science at the University of Maryland working at the intersection of computer science, AI, and economics, with a focus on solving practical problems using stochastic optimization and machine learning.